The ultimate dinosaur size bone for large dogs. Due to the thickness of the bone, we split them down the middle to expose the marrow. The marrow will go first and then your dog will gnaw on either end for the rest of the day. It is not as nutritionally complete as our other bones and contains less meat but still a delicious treat and great for teeth and gums. 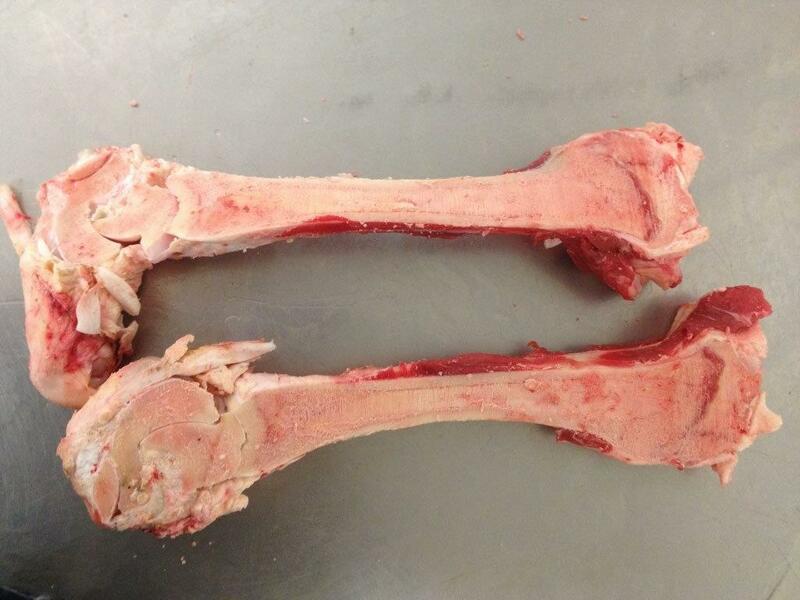 Bone marrow is very high in fat and should not be consumed by dogs that have or may be susceptible to pancreatitis.